I currently work as Associate Professor at University of Tampere, and hold a title of Docent at University of Helsinki, where I have previously worked as Academy of Finland Research Fellow in Sociology and University Lecturer in Science and Technology Studies. 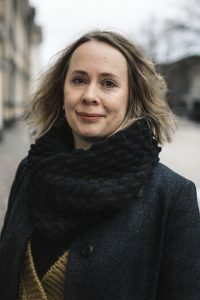 I have served as Editor-in-Chief for the Finnish Journal of Gender Studies and I am a founding member of the Finnish Reproductive Studies Network (FiResNet). I act as PI in the Doctoral Programme for Gender, Culture, and Society (SKY) and the Doctoral Programme in Social Sciences (Knowledge, Technology and Environment). I have been a Visiting Research Fellow at London School of Economics and Political Science (BIOS Centre), King’s College, London (Department of Global Health & Social Medicine), and University of Cambridge (Reproductive Sociology Research Group). I have a PhD and MSSc in Social Sciences (Sociology) from the University of Helsinki. My work is grounded in sociology, science and technology studies, gender studies and medical anthropology. Questions motivating my research include: What does it mean to be an embodied human subject in the modern Western society, politically and personally? How do technoscientific practices change social and biological aspects of human life course? What forms of inclusion and exclusion the changes entail? I have explored these questions by focusing on knowledge production in life sciences and biomedicine and technological practices related to reproduction, in particular infertility treatment (IVF), prenatal testing, and abortion. Methodologically, I have applied Foucauldian analytics of government and studies of power relations in historical materials in my PhD work, moving thereafter towards ethnographic study of contemporary technoscientific practices and the analysis of human-nonhuman relations in various sites of biomedical expertise and experience. I have recently published the book Craft in Biomedical Research: The iPS Cell Technology and the Future of Stem Cell Science (Palgrave Macmillan, 2018), which reports a five-year ethnographic study on scientific craftwork, analyzed through the case of stem cell research. In this book I investigate the making of the revolutionary experimental tool called the iPS cell technology, and develop an argument on what is at stake, ethically and politically, in contemporary embodied and affective scientific labour with living cellular material. In the project RESTEM – Reproduction and Senescence in the Age of Biomedical Enhancement, I study biomedical technologies that aim to manage and transform both reproduction and aging on the level of biological processes. I am particularly interested in the ethics and politics of gene editing and stem cell technologies as they are being developed and applied in the study and treatment of infertility and dementia. Since experimental biomedicine is increasingly enrolled in the production of therapeutic and commercial value, this project analyses scientific, regulatory and patient perceptions of the benefits and risks of this development. The project is funded by the Academy of Finland. Adjacent to the study above, I am leading a four-year (2017-2021) Academy of Finland research project Valuating Lives through Infertility and Dementia: Science, Law and Patient Activism (VALDA). In this project we study together with two post docs (Lotta Hautamäki, Riikka Homanen) and two PhD students (Kaisa Kivipuro, Elina Helosvuori) the globally salient citizen welfare problems of infertility and dementia in the technologically advanced society of Finland. Using ethnographic and text analysis methods, we focus on knowledge production and practices of valuation on the issues of normality, good life and economic efficiency as it comes to reproduction and ageing. The web page of the project is under construction! My publications are listed here. My work can also be followed in Research Gate. 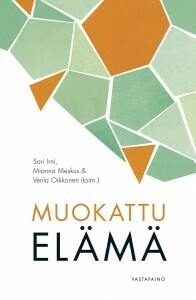 I have co-edited with Sari Irni and Venla Oikkonen the volume Muokattu elämä (Moulded life), published by the academic press Vastapaino in 2014. It brings together the work of front line Finnish feminist science and technology scholars on phenomena such as genetic testing, IVF, food production, hormone treatment and AIDS activism. The book translates and develops feminist theorization on technoscience, gender and materiality for the Finnish academic audiences. My first book, based on my doctoral dissertation and published by Vastapaino (2009), discusses medical government of human heredity with specific focus on the history of clinical genetics in Finland, the development of prenatal screening technologies, and their implications for the female body and parenthood. The book has been awarded by the Finnish Academy of Science and Letters, and the Finnish Researcher Network on Qualitative Health Studies (LATE).